The rainbow travellers have accidentally discovered the secret to crossing the ocean in an instant. This children's book series The Rainbow Travellers, puts children in control of the world they will grow up in as their decisions decide what happens next. What kind of world will they grow up in? Retro Pick-A-Path Books Are Back! As an adult you may remember the Pick-A-Path franchise of books of the late 80's and early 90's. The Rainbow Travellers also lets children choose their next adventure empowering them to make decisions, show courage and lead at every step of the way. "Our six year old enjoyed his Dad reading these to him at bedtime!" "My daughters took turns deciding the next path on the journey, and debated their decisions. Great!" Not all children enjoy the book series however as there are no large colourful images, only a smattering of black and white illustrations throughout the book. This is deliberate. In a world filled with intense visual media, the hardest skill for children to practice when reading is to imagine the scene for themselves. These books may hint at a scene or a concept, but never reveal it in any depth visually, letting the child create the world for themselves. If you want help your son or daughter practise their decision making then pick-a-path books are for you. 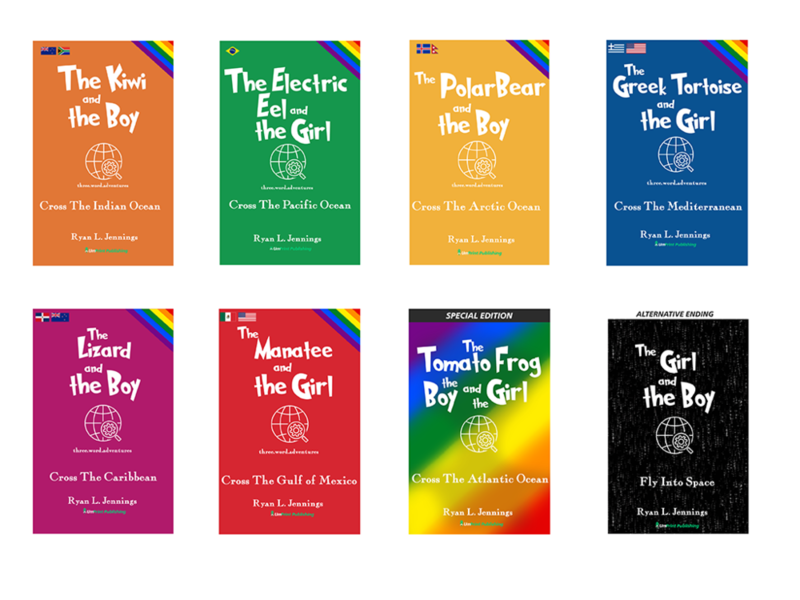 Each book takes your child on a journey to a different area of the world where they get to choose what happens next. In the first book, the boy gets to decide whether they should follow the kiwi, relax by the river and go swimming or maybe just eat some pies! In the second book, the girl must decide whether to get onto the jetty, whether to confront the guard or make a run for it with her colour fuel pouches and whether to rainbow travel back to Iceland with or without the boy she just met. I wrote this series for my eight year old son Joseph, because I want him to grow up having the best possible head on his shoulders and know that there is more than one way to carve your own path forward. In every book he will get to explore his own decision making and see where it takes him next. The first book is set at his school in Cape Town and then it follows his journey to New Zealand and beyond travelling on rainbows! The book is written for 8 - 10 year old and includes a selection of words from the UK National Curriculum for English. For advanced young readers, they will easily pick this up at 7 years old and even 6 years old. Words like 'atmosphere', 'correspond', 'triumph' and 'tremendous' are included and explained upon using similar words so that the meaning can be picked up on. At any age, The Kiwi and The Boy makes a superb bedtime read where each night you can take them on a journey with a different ending. Every books include three word 'codes' that you can enter into the what3words.com website and appear magically at the real location the book was set in. If you want to know where in Brazil the girl encounters the electric eel, enter the three word location included in the book and you will be transported to the mouth of the Amazon River, right next to the real statue where she must decide about her discovery with the statue. This helps children understand the world around them makes this book series valuable for older children too. The boy receives a parcel at his school in South Africa. The contents send him on a journey around the world from South Africa to New Zealand with a stop in at Australia along the way. Where should he travel next? In the first book in the series, they arrive in New Zealand and need your help to decide what to do and where to go next. 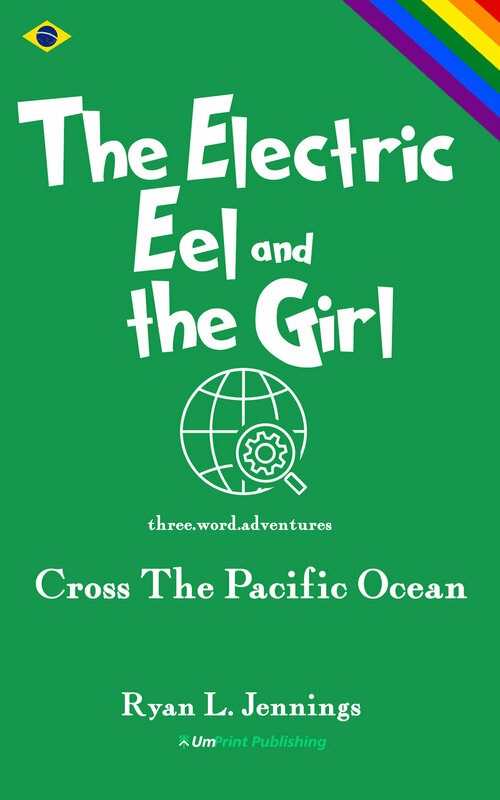 This book sets the scene for the second book The Electric Eel and The Girl that sees a girl visit Brazil on a mission that even she is not sure is possible. Available on Amazon as an ebook or paperback. We recommend paperback works best for this pick-a-path adventure so children get to make a decision and turn to the page to see the consequence of their decision. The boy discovers his courage in Iceland, but will it be enough for the challenges he must face? This book is longest one of the series so far as the boy and the girl meet up and explore Iceland. The Polar Bear and The Boy is a larger format 6 x 9 paperbook where multiple plots and sub plots takes hold. The girl arrives in Greece to complete her mission but faces a difficult decision. What is she prepared to sacrifice? You decide. I hope you enjoy this three.word.adventure journey through Greece. This is the fourth book in the series where the might of the animals and the origins of new rainbow colour recipes are revealed. Plus, the girl shows that she is committed to making her actions count, even when she is tempted away to the Greek island of Mykonos. This is the first book I introduce the reader to why the animals are ­co-ordinating their actions, what that could mean for humans if they're successful and who is trying to stop the shift to renewable colour pouches. If you haven't read the previous three books, The Kiwi and The Boy, The Electric Eel and The Girl and The Polar Bear and The Boy, then I suggest you do as they are well worth it for their individual stories.The Polar Bear and The Boy in particular sets the scene for this book as it is based nearby in Iceland where the girl meets up with her Dad. There are four more books coming soon to the series. To receive advanced reader copies first, add your email here. BOOK 5: The Lizard and The Boy cross the Caribbean. AVAILABLE TO ADVANCE READERS ONLY. BOOK 6: The Manatee and The Girl cross The Gulf of Mexico. COMING SOON. BOOK 7: SPECIAL EDITION - The Tomato Frog and The Girl cross the Indian Ocean. COMING SOON. BOOK 8: ALTERNATE ENDING - The Boy and The Girl fly into Space. COMING SOON.